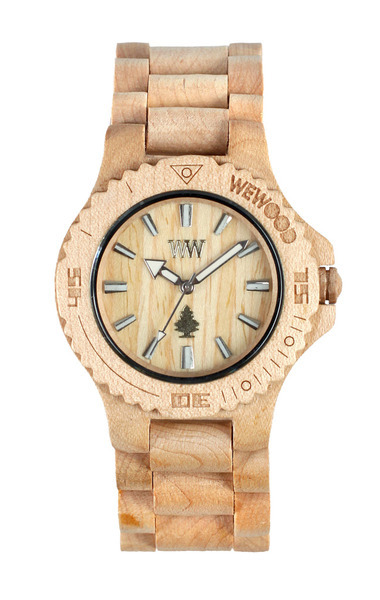 An American company WeWOOD promises to plant one tree for every 100% natural, toxin-free, wooden watch through its partnership with environmental organization American Forests. Other companies such as Sprout and Citizen also make eco-friendly watches. Facebook is planning to create a data center in Oregon, Leslie Kaufman reports. PacifCorp is the power provider, and Greenpeace criticizes it for using more coal than other power utilities. However, Facebook's spokesman points out that the data center is greener than other data centers because it uses "the meta equivalent of ceiling fans." Bellow is the animation Greenpeace released. 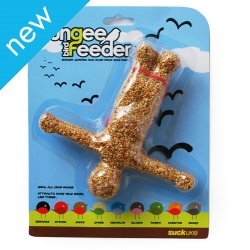 Guardian lists eco products like this bungee jump bird feeder bellow. Try searching a particular thing you're looking for on the website: HERE. Mireya Navarro reports the current issues of detergents that are advertised as green products. According to the journalist, some consumers think green detergents are less effective than regular ones, and that the labor unions claim that some of the green products are still toxic because there are undisclosed ingredients in the products. He writes, New York State identified phosphors as the leading harming chemical in the state. Click HERE to read the New York Times article by Mireya Navarro. Here is the energy statistics by BP Evergy Statistical Review of World Energy. Since it is available in spreadsheet, we encourage you to look at the raw data and analyze yourself. This article introduces the recent move by the City of San Francisco to open its database of green products. Meyer also sites the descriptions of EPP, which stands for environmentally preferable purchasing policies. The city of San Francisco launched its Database available on the web: SF Approved List. Most of items are powered by Good Guide, but it also includes items that are originally chosen.